I am an inspirational speaker, author and veteran advocate. Our Hidden Heroes Need Your Help! I recently had the honor of serving as the MC for a Caregiver Networking Reception held at the US Chamber of Commerce in conjunction with the Elizabeth Dole Foundation. The event was certainly a success in that over 30 military caregivers had the opportunity to talk directly with employers from national corporations who want to hire caregivers at locations around the country. The attendees listened to a panel discussion focused on best practices for corporations supporting the specific needs of many of our caregivers, including flexible work schedules and work-from-home opportunities. Additionally, they listened to how caregivers can incorporate the skills they have developed while caring for their wounded warriors into their resumes. 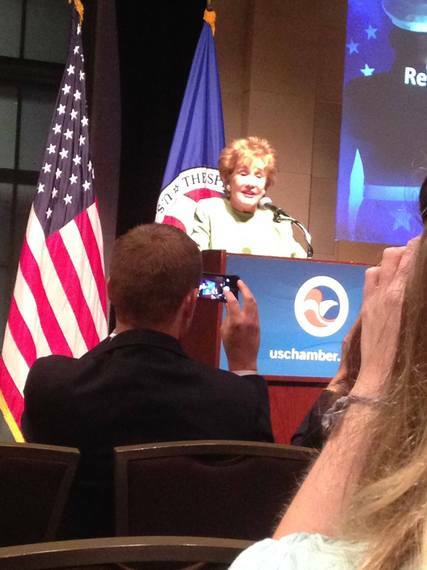 Perhaps most illuminating however, was some of the information that Senator Elizabeth Dole and U.S. Chamber of Commerce President and CEO Tom Donahue stressed, which is the incredible and unique challenges faced by this generation of military caregivers. We learned that a whopping 1.1 million caregivers are caring for post-9/11 veterans, that they tend to be younger and are not connected to a support network. We also learned that while military caregivers as a whole consistently experience worse health outcomes, greater strains in family relationships and more workplace issues than non-caregivers, the post-9/11 military caregivers fare the worst in these areas. Yet although I am a wounded warrior and my wife served as my caregiver during the first several years of my recovery, I certainly did not appreciate the full scope of the problem for these caregivers. And if I didn't recognize this as a major problem in our society, how could the rest of America? Many of us who served in Iraq and Afghanistan have survived injuries that would have killed us in previous wars, and while that is of course a cause for celebration, it also demands incredible sacrifices by our caregivers. Sacrifices that often go unnoticed, unrewarded and often unsupported. Military caregivers of this generation are known as Hidden Heroes, but I do not want them to remain hidden any longer. Just as our American population has shown great support for our wounded warriors, our caregivers need and deserve just as much recognition, assistance and understanding. 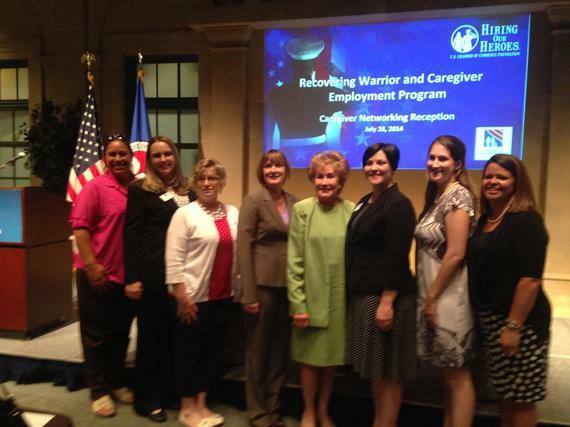 With generous support from the Wounded Warrior Project and other sources, the Elizabeth Dole Foundation commissioned a new RAND Corporation study to develop the first comprehensive, nationwide evidence-based needs assessment of military and veteran caregivers. The study found that as compared to civilian caregivers who miss one day of work per month, post-9/11 military caregivers report missing 3.5 days of work per month. The report estimates the value of this lost productivity at $5.9 billion annually, and of course the lost wages significantly add to the financial strain faced by these caregivers. Further, these Hidden Heroes face elevated risks for depression that is four times that on non-caregivers. That's no wonder considering the incredible stress they face each day trying to balance and juggle the challenges of working, taking care of their families and serving as a caregiver. RAND researchers also found that more than 30 percent of these post-9/11 military caregivers lack health care coverage, suggesting they face added barriers to receiving help for their own health needs. Just as it is unacceptable that our wounded warriors face myriad governmental challenges during their recoveries and are often not afforded the care they need and deserve, the same is true for their caregivers. As identified in the RAND study, our caregivers need to be trained how to better understand their roles, develop the skills necessary to provide care and navigate social support networks. While this is probably a problem best addressed by our federal and state governments, corporate America can also play an active role by creating caregiver-friendly environments that address the various needs of military caregivers. Today's military caregivers have proven their resilience, selflessness and ability to multi-task in environments most Americans will never have to imagine -- let's turn things around and start focusing on their needs and development. Who wouldn't want to provide an opportunity for someone whose life has been turned upside down because of a war injury, and based on their commitment to a loved one, may now have been out of the workforce for a period of time or needs a flexible schedule? Seems to me that any CEO would be lucky to have such a dedicated, talented and compassionate employee like one of our caregivers on their payroll any day.